This guest post was provided by Alla Gilbert. I love book stores and fairs, don’t you? So I particularly would like to welcome Alla for her post on the subject. It is important to inculcate good values and habits in children since a very early age. Children have highly impressionable minds. What you make them believe and what you teach them stays with them for the rest of their lives or till some major life-changing event occurs. Children need to pay attention to their studies. It’s no doubt that outdoor activities like playing, skating, and swimming play a crucial role in developing your child’s physical capabilities, but book-reading isn’t something that only nerds should do. Book-reading shouldn’t be confined to your textbook lessons, but you must encourage your child to read books and novels that are beyond the school curriculum. In this age, where there are so many distractions in the form of gadgets like mobile phones, video games, and fun applications that is easy to forget your books. Difficult children like those refusing to obey their parents, children with ADHD (Attention-deficit hyperactivity disorder), and those plainly lacking motivation are the ones for whom books appear as a burden. Books are a good way to keep your child centered and increase his focus in spite of the numerous distractions around. And this quality goes a long way in making an individual successful even amidst the many difficulties in life. With books, you can never ditch! When your eyes are set on the pages of a book, either you are keenly interested in reading or if you are not, you will soon fall asleep. It is difficult to have your mind somewhere else while your eyes stuck on a book. Motivational – In order to get your child interested in book-reading, take them to book fairs. Book fairs act as a motivation tool that helps change your child’s outlook toward books. Not all children are programmed to become geniuses or they simply lack that drive during childhood. Or they view books as boring and insipid. Attending book fairs helps them kick off this mindset so that they view books as a means of entertainment and not just a means through which you have to remember boring school lessons by rot. Fun and Frolic – Book fairs are fun-filled events, and there are a variety of books lined up there. Children of all types – dreamy-eyed fantasy-loving, aggressive warrior-type, or nerdy intellectual type will find book fairs interesting. Books of all types that cater to children’s likes are found at these events. When children see some of the famous children’s book authors addressing the book events, they are inspired by their personality and are encouraged to read more. Book fairs aren’t limited to books; there are many activities to hook up kids and keep them glued for long. So, these are certainly not boring times. Self-help –Whether schools organize trips to book fairs for their children or parents take their children to these wonderful, grand events, they are worth attending. Whether they are striving to score higher grades at school, or they want to outpace other kids during a sprint competition, all these are signs of an inner drive waiting to be discovered, nurtured, or enriched. Non-fiction is great for those children who display the initial signs of ambition at school. Non-fictional books focus on how to develop your abilities to the fullest or how to make your dreams come true in a myriad of ways. Knowledge Enhancers – There is a category of children for whom books are never boring. They view books as a means of gathering information. Such children have a lust for knowledge, and that is good! 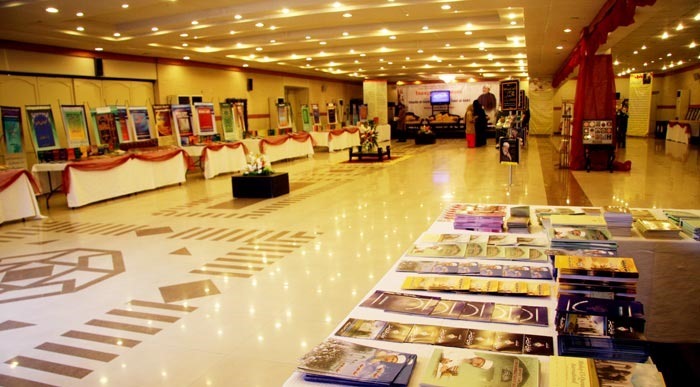 They find book fairs highly beneficial and enjoyable events. So, taking your intelligent children to book fairs will serve as a fun trip for them. They will readily dabble into all types of books, but make sure they only refer to books meant for children and don’t peep into adult content. Author Bio: Alla is a freelance writer; she writes extensively on books, sports, gadgets, and fashion. She has two lovely and naughty kids. Despite Alla being a writer, she found it hard to instil the book reading and writing bug in her kids. She vouches for the fact that attending the book fair 2013 changed the fate of her kids forever; since then, they have started showing active interest in book reading like never before.